The BG Bag looks so good with a recessed zipper and i wanted to show everyone how to install one, not just on this bag but any bag! It looks so good and it makes the bag look so professional! I hope you buy the BG Bag pattern in the shop or on Craftsy and have a go! What is a mug rug? it’s bigger than a coaster but smaller than a placemat. 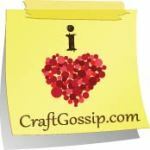 They are awesome for using up all the tiny scraps you have too!I love making them for myself and for gifts! I’ve got a list of my favourite FREE Mug Rug Sewing Tutorials to get you started.